towards successful and independent lives. We cannot begin to comprehend the emotional and physical effect that years of displacement, persecution and silence have had on the Karen people. Despite decades of suffering they remain devoted to their families and culture, and loyal to those whom they have allowed into their lives. The Karen people are perceptive and insightful. They do not forget, but they move forward with a strong will to survive and thrive in spite of adversity. It is this will to survive and thrive that we support, with humility and admiration. Our work is not based on what we think the Karen need. It’s based on friendship, and a common understanding that emerges from years of walking beside our Karen friends. We are like-minded people who are honoured to share in the journey of the Karen. This is Kleo. We invite you to share this journey with us. The Karen are a distinct ethnic group of people that live in Thailand, and Burma. They are a people that live within the restrictions that lives of poverty present. Through many challenges they remain committed to the preservation of their language and culture. They are steadfast and united in their fight for autonomy. 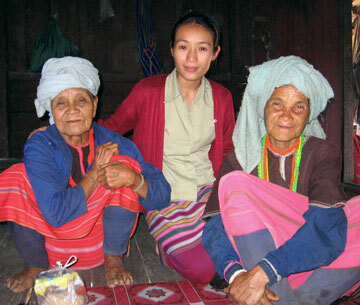 Due to distance and circumstance the Karen peoples lives have developed into many distinct sub-cultures. Some Karen live in small farming communities, others in refugee camps, or as internally displaced people, or have resettled to third countries. Please note: To do humanitarian and educational work within Burma and Thailand, Kleo must maintain a non-political role and stance. The atrocities endured by the Karen people in Burma, which are an essential part of understanding their situation, must remain beyond the scope of this website. We encourage you to do further research. Karen in Thailand face economic, social, and language barriers which restrict them from education and opportunity. They are faced with the challenge of balancing language and cultural beliefs with the knowledge that they must find a way to educate themselves and, most importantly, their children. Karen mountain people search for a way to remain on the lands they have called home for centuries and integrate into the changes at their doorstep. For Karen who cannot prove their Thai citizenship, ownership of farmland can be challenged, leading to the loss of their homes and ancestral lands. The Karen are the largest ethnic minority group in Burma and have lived through the longest running civil war in the world. 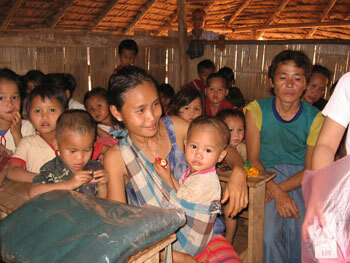 Karen people who have been displaced due to war and persecution are labelled IDPs (internally displaced people). There are thousands of Karen who, by virtue of their ethnicity, have no identity and for whom this stateless existence is life. Forced out of their villages, they flee to the jungle, and try to survive on what they can gather while in hiding. In the face of constant fear, disease and starvation, many travel to the Thai/Burmese border, where they hope to find relief in refugee camps. Video: A Karen New Year — Coleen spends five months of the year sharing in the lives of the Karen people. 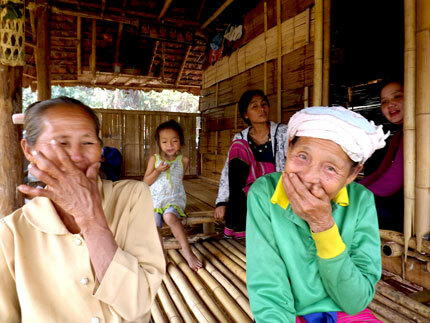 Thousands of Karen have been forced to resettle in refugee camps along the Thai/Burma border. For decades they have lived in the camps in poverty, and with little hope for the future. Their lives continue to be filled with uncertainty and fear. Due to recent policy changes of support groups and the Burmese government, support to refugee camps is diminishing, which leaves those residents more vulnerable to illness and malnutrition. Genesis speaks with Coleen about how he came to his orphanage, and about his hopes for the future. Resettled refugees in third countries, including Canada, continue to try and find their way in a world they know little about. The norms of every day living in their host countries are far from their way of life in the jungles of Burma and refugee camps. Often Karen people face misunderstood challenges, receiving support that fit into systems, rather than a balance and understanding of two cultures. 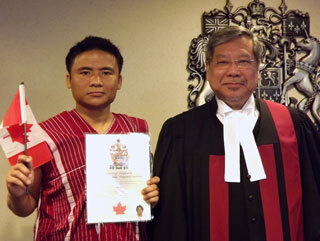 We work with Karen people in Thailand, refugees living in camps along the Thai/Burma border, and the Karen Community in Ottawa. Karen Friends in Ottawa Kleo volunteers work directly with individual families providing support in every aspect of their daily lives, including school, sport and government communications. Assistance with doctor and other professionals appointments, and emotional support is offered. Karen Farm / K’Nyaw Sie The Karen farm project provides an opportunity for farmers to use the skills they bring with them to Canada to engage and exchange with other farmers the tools they require to farm in their new home. We work with another non-profit organization, Just Food. Karen/English Summer School provides an opportunity for Karen children to study their Karen language in the morning and engage in English studies in the afternoon. This program runs in conjunction with OCDSB. Jen’s House provides an opportunity for Karen mountain village children to live in a safe, caring environment and attend Thai schools. Here they can obtain a level of education that is not available in their mountain villages. University Students Kleo provides support for Karen students who have graduated high school while living at Jen’s House and wish to pursue post-secondary education. Karen Refugees Camps Our work includes providing the basic necessities of life, food, clothing and first aid supplies. We work mainly with unaccompanied minors who live in dorms in the camps. Their parents have either been killed in the war or have been sent to the camps because their parents have no food. 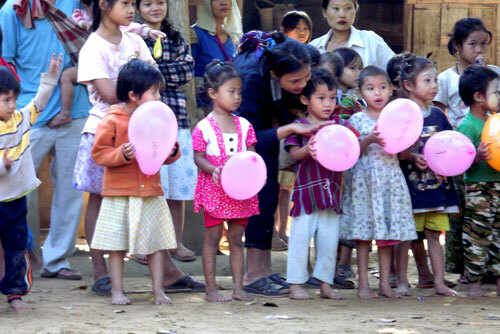 Ban Rai Dorm is a home to Karen mountain children in Mae Sariang, close to the Thai/Burma border. Initially built for 87 students, support from a Korean organization was discontinued many years ago. The community has struggled to make ends meet. However, with each year there is less money, and as the dorm has fallen into disrepair, children from mountain communities no longer have access to education. Kleo was approached in 2014 for help, and we are providing funds to for repairs and improvements. We look forward to a continued relationship with the children of Ban Rai Dorm.